Teach them Krishna consciousness at early age. 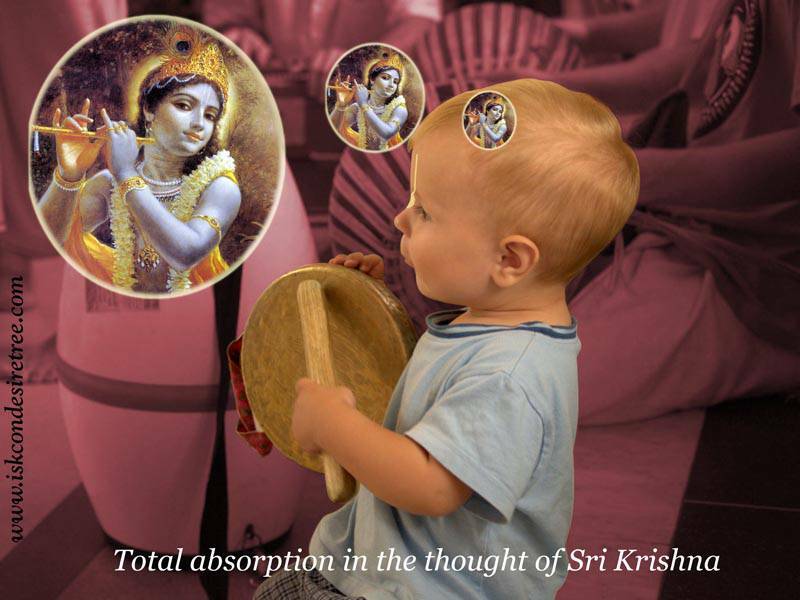 Total absorption in the thought of Sri Krishna. The mother is the first to teach and the teaching begins very early in life, even before the children can comprehend. I’ve seen this in Bangladesh. The Hindu women bring their little children—they can’t even walk or talk—and they will bring them and physically bow them down. They [the children] don’t know what they’re doing; they have no idea what’s going on. They [the mothers] touch their [the children’s] heads to the ground in front of the Deities, or they would come up to a sadhu and touch the baby’s head. So at the very beginning of life they will start teaching these things, and then what happens is that by the age of five years old they [the children] automatically know. As soon as any sadhu comes, they will automatically bow down. If you train a child in taking shelter of Krishna then that will become the nature of child.